Currently only eight of the 50 states in the nation require a photo ID to be shown at the polls to vote. Another 18 require a wide array of other non-photo ID and 24 states require neither. Assembly Bill 7 calls for the fewest and most restrictive forms of ID and would make Wisconsin the most burdensome and difficult state in the nation in which to cast a vote. Why? No proponent of this measure is willing to say why or explain why legislation this extreme is necessary. It is not because of voter "fraud." There has not been any of consequence. Proponents can't cite any. None. Proponents say this measure "could" prevent future fraud. Really? What in this legislation would prevent anyone from using a fake photo ID? Nothing. The Wisconsin Fiscal Bureau cites a price tag of $7.5 million just for administrative and training costs and for the free IDs that must be available to citizens who cannot afford to purchase one from the Department of Transportation. But it will cost millions more to add personnel and expanded hours for Department of Motor Vehicle offices and mobile units. And millions more to bring student IDs into compliance with the new law every two years when they will have to be reissued. And then it will cost millions more for the state to defend this law which will almost certainly be challenged in the courts because of its unprecedented restrictiveness and because of how it assaults basic voting rights in Wisconsin. How much will Wisconsin taxpayers have to shoulder to pay for all of this? The sky is the limit. There will be real confusion about when the provisions of this measure will become effective. Immediately or in 2012? Apparently citizens will be asked to show their photo ID at the polls immediately after this measure becomes law but will be allowed to vote during 2011 -- in the upcoming special and recall elections -- if they do not have one of the proscribed forms of photo ID. They must have that proscribed form of photo ID in order to vote in 2012. Many voters will understandably be confused and will think that they cannot vote in the recall elections without the photo voter ID -- which is likely the intent of the bill's proponents. But there is one important provision that will definitely be effective immediately when this measure is signed into law: a requirement that citizens reside in Wisconsin for at least 28 days instead of the current 10 days - which has been in place for years and has worked just fine. And it is just in time for the upcoming recall elections. So the real goal of proponents of this measure -- to reduce the number of citizens who can vote and to make voting more burdensome and difficult for everyone--could begin as soon as next week. Most Wisconsin newspapers have editorialized against this photo voter ID measure in its current form. Most Wisconsin citizens will oppose it too once they find out just how restrictive and burdensome it really is. To let your State Senator know how you feel about this assault on your intelligence and on your constitutional right to vote -- go here/ If you are not sure who your State Senator is -- go here. VIDEO: Tax money for extreme fighting? 1. The "powerful" Joint Finance Committee of the Wisconsin Legislature met Monday and voted 12 to 2 along party lines to spend millions of dollars of taxpayer money Wisconsin doesn't have to implement the most restrictive voter identification system in the nation -- Assembly Bill 7 -- and rush it to a vote in the full Assembly on Wednesday. The Committee accepted an amendment that will allow college and university students to use their photo ID without an address, provided they also bring specific proof of where they live, but that the ID must have a two-year expiration date--which student IDs currently do not have. The University of Wisconsin system and the Wisconsin Technical College system say that current student IDs are not in compliance with this measure. And, the measure is "silent" on how much taxpayers will have to bear to issue new student ID cards after two years to comply with this measure -- but the likely cost is tens of millions of dollars. Even after making this reluctant "concession" proponents of Assembly Bill 7 are still unable to explain why they insist on passing the most restrictive voter identification law in the nation. Currently only eight of the 50 states in the nation require a photo ID to be shown at the polls to vote. Another 18 require a wide array of other non-photo ID and 24 states require neither. Assembly Bill 7 calls for the fewest and most restrictive forms of ID and would make Wisconsin the most burdensome and difficult state in the nation in which to cast a vote. Why? No proponent of this measure is willing to say. It is not because of voter "fraud." There isn't any of note and proponents can't cite any. And the cost of this measure could skyrocket and run into tens of millions of dollars. Isn't Wisconsin experiencing an unprecedented $3.6 billion budget deficit "requiring" deep and savage cuts to education, health care and many other vital state services? Where did the proponents come up with the millions for this new, restrictive and unnecessary measure? The Wisconsin Fiscal Bureau cites a price tag of between five and six million dollars just for administrative and training costs and for the free IDs that must be available to citizens who cannot afford to purchase one from the Department of Transportation. But it will cost millions more to add personnel and expanded hours for Department of Motor Vehicle offices and mobile units. And tens of millions more to bring student IDs into compliance with the law. And then it will cost millions more for the state to defend this law which will almost certainly be challenged in the courts because of its unprecedented restrictiveness and because of how it assaults basic voting rights in Wisconsin. How much will Wisconsin taxpayers have to shoulder to pay for all of this? Apparently the sky is the limit. There is real confusion about when the provisions of this measure will become effective. Immediately or in 2012? Apparently citizens will be asked to show their photo ID at the polls immediately after this measure becomes law but will be allowed to vote during 2011 -- in the upcoming special and recall elections -- if they do not have one of the proscribed forms of photo ID. They must have that proscribed form of photo ID in order to vote in 2012. Many voters will understandably be confused and will think that they cannot vote in the recall elections without the photo voter ID -- which is likely the intent of the bill's proponents. But there is one important provision that will definitely be effective immediately when this measure is signed into law: a requirement that citizens reside in Wisconsin for at least 28 days instead of the current 10 days - which has been in place for years and has worked just fine. And it is just in time for the upcoming recall elections. So the real goal of proponents of this measure -- to reduce the number of citizens who can vote and to make voting more burdensome and difficult for everyone (misplaced your wallet with your driver's license in it on Election Day? Tough luck!) -- could begin as soon as next week. Most Wisconsin newspapers have editorialized against this photo voter ID measure in its current form including, most recently, the Wausau Daily Herald and The Capital Times. Most Wisconsin citizens would oppose it too if they knew just how restrictive and burdensome it really is. To let your State Representative know how you feel about this assault on your intelligence and on your constitutional right to vote -- go here. If you are not sure who your State Representative is, go here. 2. Every day, more and more Wisconsinites are adding their names to "the list" of citizens who demand an end to gerrymandering legislative and congressional districts -- a process which is underway now and will be completed next year at tremendous cost to taxpayers and by one of the most secretive and partisan methods in the nation. Read this latest redistricting reform blog by Bill Kraus, long considered one of Wisconsin's most astute political minds, and then reply to this message or call us (608/256-2686) to say "add my name (and where your are from) to the list!" 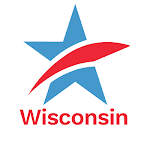 In a very divided and contentious three hour plus executive session yesterday, the Wisconsin Assembly Committee on Election and Campaign Reform forwarded to the Joint Finance Committee the most restrictive, blatantly partisan and ill-conceived voter identification legislation in the nation. The vote was 5 Republicans in favor and 3 Democrats against a substitute amendment to Assembly Bill 7 that made some modifications to the original legislation but not enough to make it worthy of support. It appears that the committee Republicans agreed to allow student IDs which were not permitted in the original bill. The substitute requires that the student ID cards have the student's current address on them -- which is a huge problem in that current student IDs do not have addresses on them for security reasons because they are often used as card keys to get into dormitories and other secured campus buildings. No amendments were able to be offered in the executive session and so this key amendment will have to be offered (and presumably adopted) when the Joint Finance Committee meets to attach a cost to this very expensive legislation. At least $5 million will be needed to pay for photo IDs for people who cannot afford them, and implementation of the voter photo ID program -- a total waste of scarce taxpayer money in a time of record budget deficits and cutbacks to vital state programs. But even with the student ID amendment, Assembly Bill 7 (and Senate Bill 6 - its counterpart that has nearly cleared the State Senate), is still the most restrictive voter identification legislation in the nation. Currently 26 of the 50 states in the nation require voters to show some form of identification at the polls to vote. Of those 26 only 8 require some form of photo ID. AB7/SB6 is more restrictive than any of those other 8 states in terms of the forms of photo ID that could be accepted. Under AB 7 the only forms of ID that would be acceptable would be a valid Wisconsin driver's license, a Department of Transportation-issued ID that can only be obtained from a DMV office and is free -- but only if you know that it is free and you request it to be free (otherwise you are charged for it). You can also use a valid passport, valid naturalization papers, a U.S. military ID card, a Tribal ID and -- possibly -- a student ID. But even the two most currently restrictive states in the nation in terms of permissible photo IDs that must be shown at the polls -- Georgia and Indiana -- permit more forms of photo ID at the polling places. Georgia allows all the photo ID forms that AB7/SB6 would and several more -- such as expired driver's licenses, any form of federal ID (Wisconsin would allow only military), and any form of state or local ID (Wisconsin would allow only DOT-issued). Indiana, which Republicans in Wisconsin say was their "model," allows any form of photo ID issued by the federal or state government. And Georgia and Indiana are extreme in terms of the types of ID that can be used to vote. AB7/SB6 would make Wisconsin even more extreme. What have the voters of Wisconsin done to deserve the most restrictive extreme voter ID law in the nation? Our "crime" is that as a state we turn out to vote in presidential elections in greater numbers than any other state other than Minnesota. Our "crime" is that we currently encourage our citizens to participate in the democratic process by making it relatively simple to vote. This helps enable students and young people to develop civic responsibility early in their lives and make voting a lifelong "habit." We also care about making voting accessible and possible for the elderly, and physically impaired, and for people without motor vehicles and drivers licenses, and for people in cities and for minority voters. Our "crime" is that in Wisconsin we think all votes and all voters should count and should have equal access to the polling place. Soon, Wisconsin will be punished for these "crimes" by enacting into law AB7/SB6 -- making it more difficult, burdensome and restrictive for all of our citizens to participate. And it will be easier to vote in Alabama, Mississippi, Georgia, South Carolina and every other state in the nation than it will be to vote in Wisconsin.